6 pcs 20th c. silver hollowware including Tiffany. 1st item: Sterling silver compote, Danish Modern style with round bowl and base, bulbous beaded pedestal. Marks for Quaker Silver Co. 8303. Minor scratches, overall excellent condition. 3 1/4" H x 6 3/4" dia., 9.23 oz troy. 2nd and 3rd items: Pair of Tiffany Silver miniature leaf form dishes, marked Tiffany and Company Makers with M mark, 22886, excellent condition, 1/2" H x 3" W x 2" D, 2.375 oz troy. 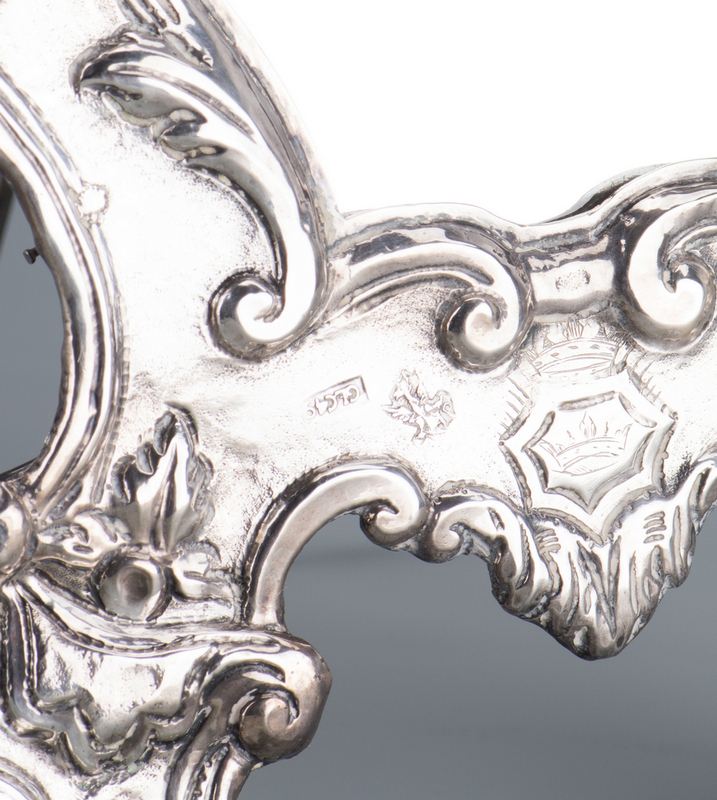 4th item: Sterling lobed candy bowl marked Dublin Pattern, 3401, monogrammed R, 6" dia. 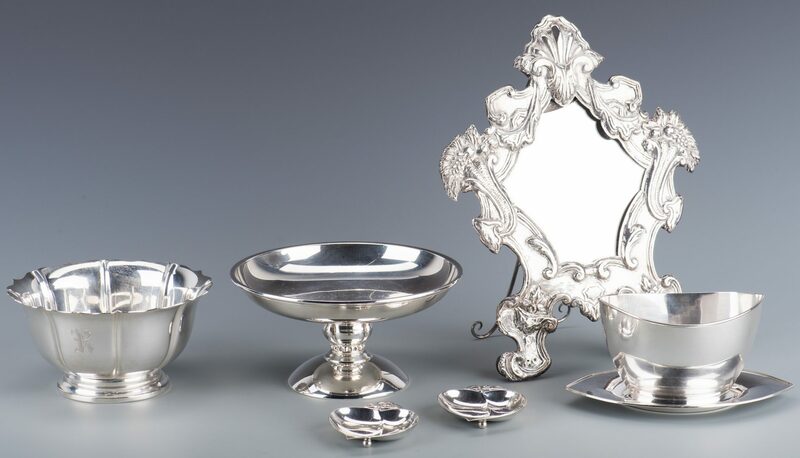 5th item: American silverplated condiment bowl plus underplate, monogrammed LKW, 3" H. 6th item: Silver table mirror, cartouche shape with repousse design, wood back with iron stand. Eagle mark with GLC-49. 10 1/2" H. Probably Mexican, 20th c. 19.17 oz troy combined weighable silver. 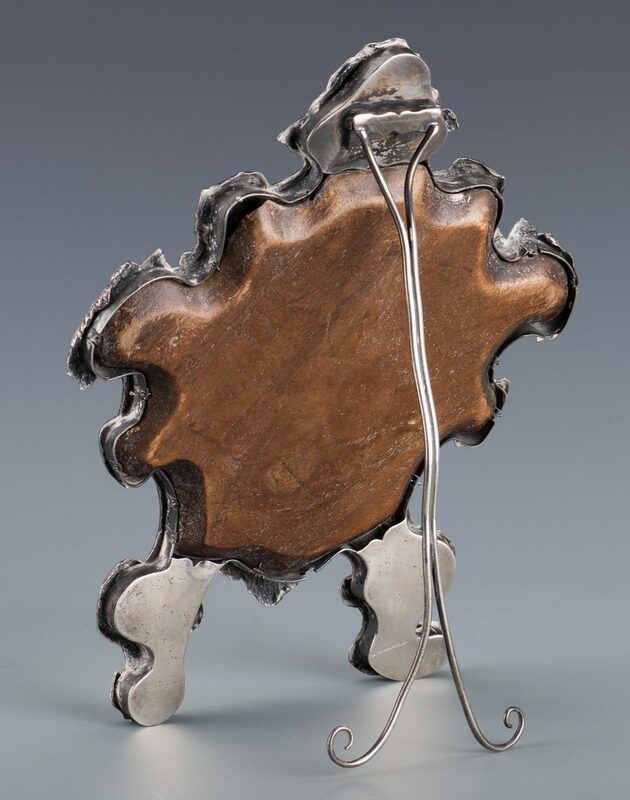 Provenance: Collection of the late Edwin and Rebecca Raskin, Nashville, Tennessee. 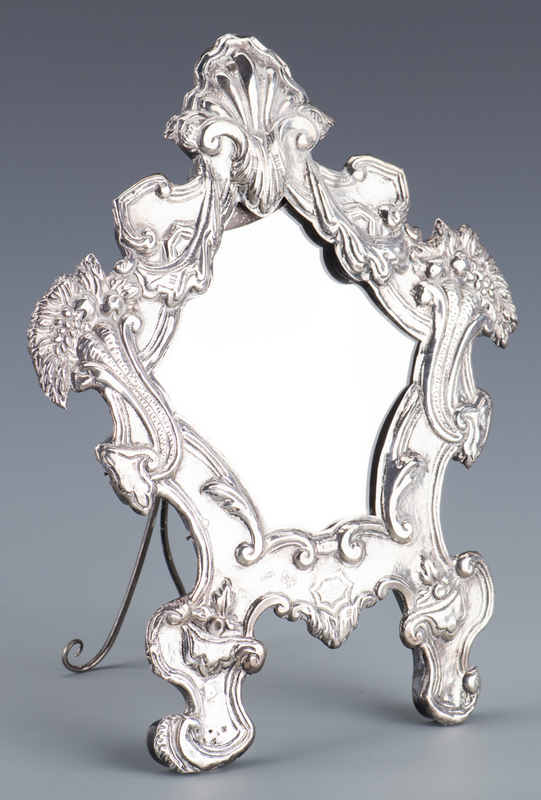 CONDITION: Mirror has some scattered small dents, other items in overall good condition.